The famed lighthouse set around 20 miles west of Lewis on Eilan Mor has been the centre of theories for decades, after three men keepers vanished from their post in December 1900. Residents of Breasclete have long wanted to take control of the onshore building as a community asset, which would be used to mark the area’s maritime heritage, while also reflecting on the mystery of the three men. The Urras an Taighe Mhoir group want are now one step closer to taking control, after being awarded £17,740 of funding from the Scottish Land Fund and Architectural Heritage Fund to carry out feasibility and technical studies. Chairwoman Liz MacBain said: “This funding has taken the community one step further towards acquisition of An Taigh Mhor, for which there is so much attachment locally, giving us opportunity to explore the potential of the heritage, history and cultural importance of the building whilst also providing economic opportunity through the development of the asset. 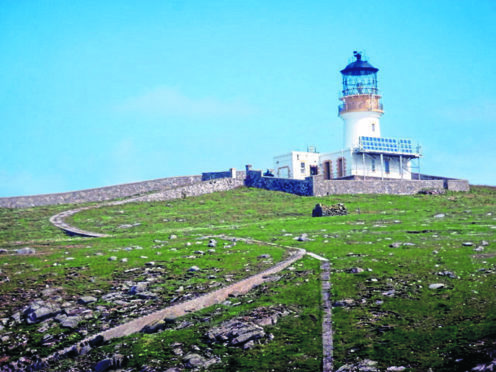 The famed lighthouse set around 20 miles west of Lewis on Eilan Mor and has been the centre of theories for decades, after three men mysteriously vanished from their post back in 1900. A feasibility study will now be carried out and has been awarded to a team including Dr Calum Macleod, Duncan MacPherson and Faye Macleod, with a technical assessment of the building to be undertaken by Anderson Associates, Chartered Architects. Community consultations are expected to place in the coming months as the Urras an Taighe Mhoir group seek to discover the main use for the building, should they be successful in taking over ownership. The mystery surrounding the three keeper’s disappearance from the Flannan Isles Lighthouse has been the centre of speculation for decades. The issue was raised by the passing vessel Archtor on December 15 in 1900, however the relief crew and keeper were unable to check in at the lighthouse until December 26. Upon arrival relief keeper Joseph Moore discovered the entrance gates closed, with beds unmade and the clock stopped inside the building, with no persons present. The captain of the vessel transporting Mr Moore to Eilean Mor, Jim Harvie, sent a telegram to the Northern Lighthouse Board stating: “A dreadful accident has happened at the Flannans. The three keepers, Ducat, Marshall and the occasional have disappeared from the island. Theories over the men’s disappearance have stretched with some believing they were washed into the sea by a freak wave, murdered and even abducted by aliens.